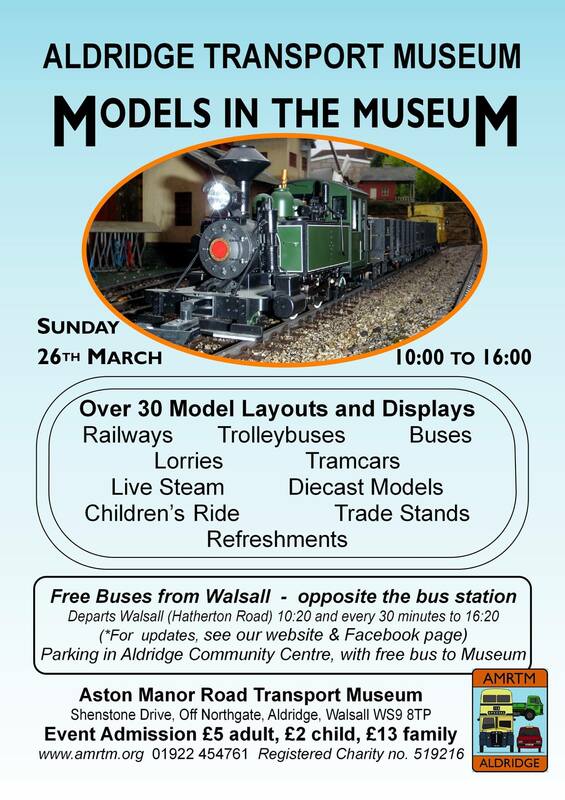 I see from the events list that Aston Manor Road Transport Museum in Aldridge have a ‘Models at the Museum’ event this Sunday, 26th March 2017 -It starts at 10:00am and should be just the thing for modellers, transport enthusiasts, petrol heads and big kids of all kinds. Buses by Night 2018 – great Aldridge event on this Saturday! This Saturday afternoon and evening (17th February 2018) there’s a great, innovative event taking place at Aldridge Transport Museum just off Northgate – Buses by Night, which is your chance to ride on some great old vehicles and see the local sights and photography hotspots – like Lichfield Cathedral – at night. I see from the events list that Aston Manor Road Transport Museum in Aldridge have a collectors fair taking place this Sunday (19th November 2017) from 10:00am until 4:00pm, and should be just the thing for auto buffs, transport enthusiasts and petrol heads of all types. 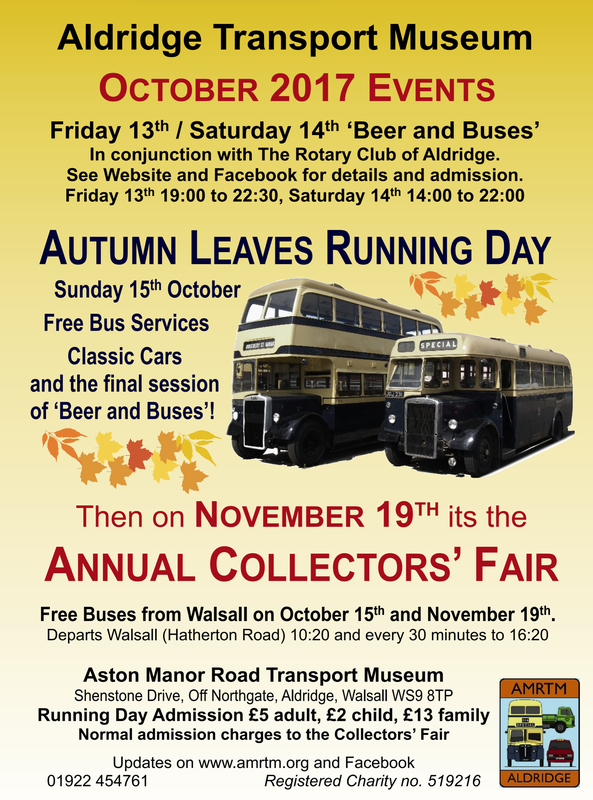 Autumn Leaves Running Day at Aldridge Transport Museum this Sunday – and the finale of Beer and Buses! While the Beer and Buses festival is ongoing at Aston Manor Transport Museum in Aldridge today and tomorrow (Saturday and Sunday, 14th and 15th October 2017) it’s worth pointing out that tomorrow, as well as the culmination of the beer event, it’s also the Autumn Leaves Running Day at the popular local museum. 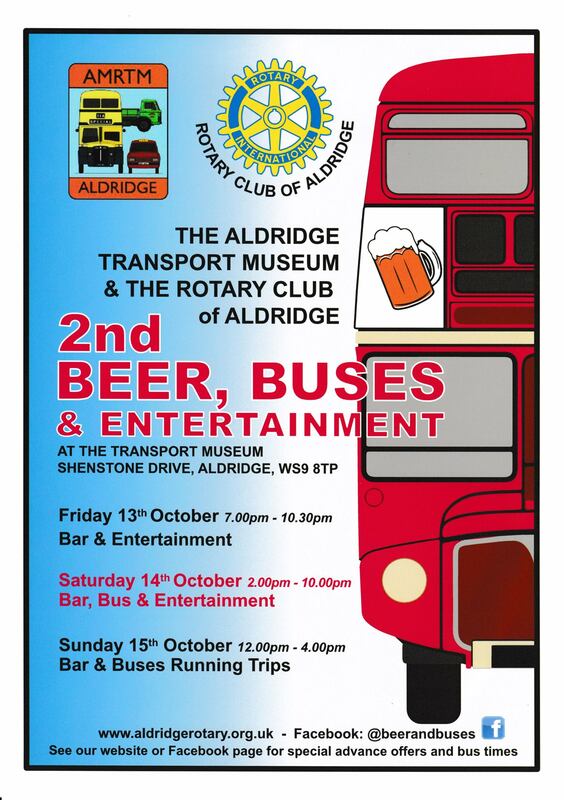 Starting soon and running all weekend – Beer and Buses at Aldridge Transport Museum! Over this weekend of 13th-15th October 2017, there’s a great, innovative event taking place at Aston Manor Road Transport Museum just off Northgate, Aldridge – Beer and Buses, combining a great beer festival at the local museum, culminating in the Aston Manor Transport Museum Autumn Leaves running day on the Sunday. Beer and Buses – a great ale and transport festival coming soon! Coming over the weekend of 13th-15th October 2017, there’s a great, innovative event taking place at Aston Manor Road Transport Museum just off Northgate, Aldridge – Beer and Buses, combining a great beer festival at the local museum, culminating in the Aston Manor Transport Museum Autumn Leaves running day on the Sunday. 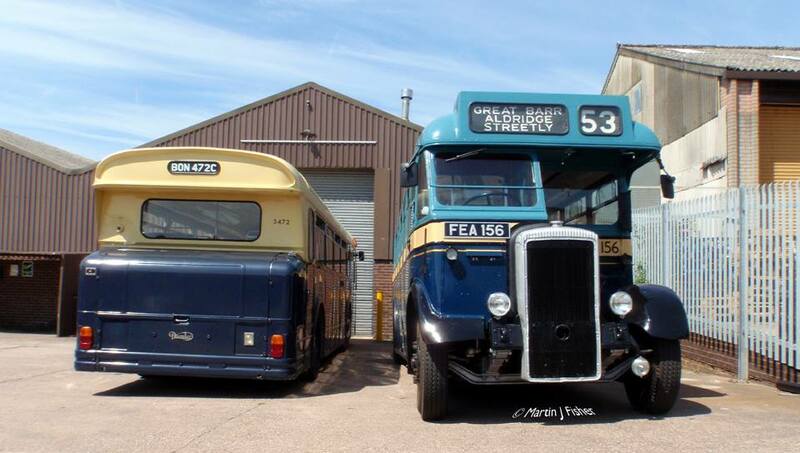 I see from the events list that Aston Manor Road Transport Museum in Aldridge have their Spring Running Day this Sunday, 23rd April 2017 -It starts at 10:00am and should be just the thing for vintage transport fans, bus enthusiasts, petrol heads and big and little kids of all kinds. 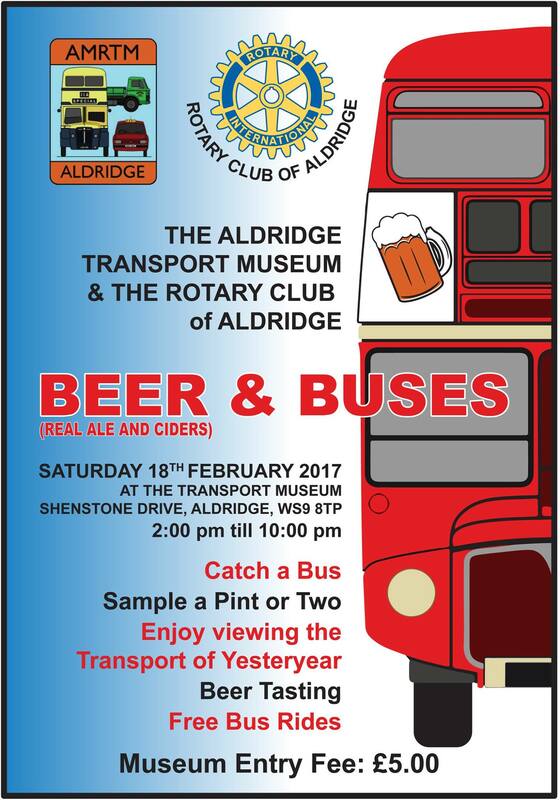 This Saturday, 18th February 2017, there’s a great, innovative event taking place at Aston Manor Road Transport Museum just off Northgate, Aldridge – Beer and Buses by Night, which is your chance to ride on some great old vehicles and share a beer or two. How about some Beer and Buses by night, then? On Saturday, 18th February 2017, there’s a great, innovative event taking place at Aston Manor Road Transport Museum just off Northgate, Aldridge – Beer and Buses by Night, which is your chance to ride on some great old vehicles and share a beer or two. 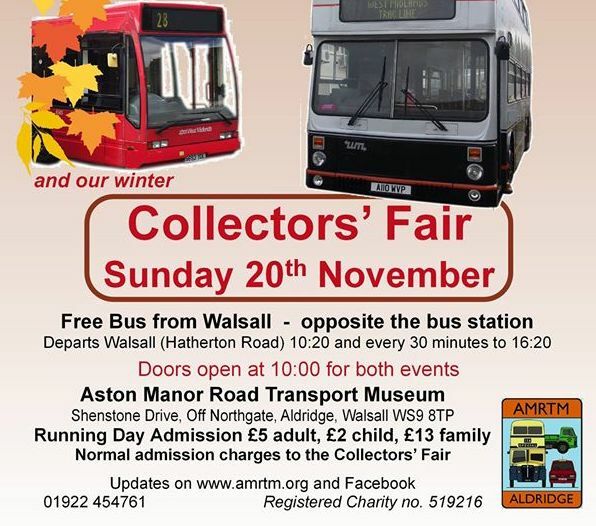 I see from the events list that Aston Manor Road Transport Museum in Aldridge have a collectors fair taking place this Sunday (20th November 2016) from 10:00am until 4:00pm, and should be just the thing for auto buffs, transport enthusiasts and petrol heads of all types. 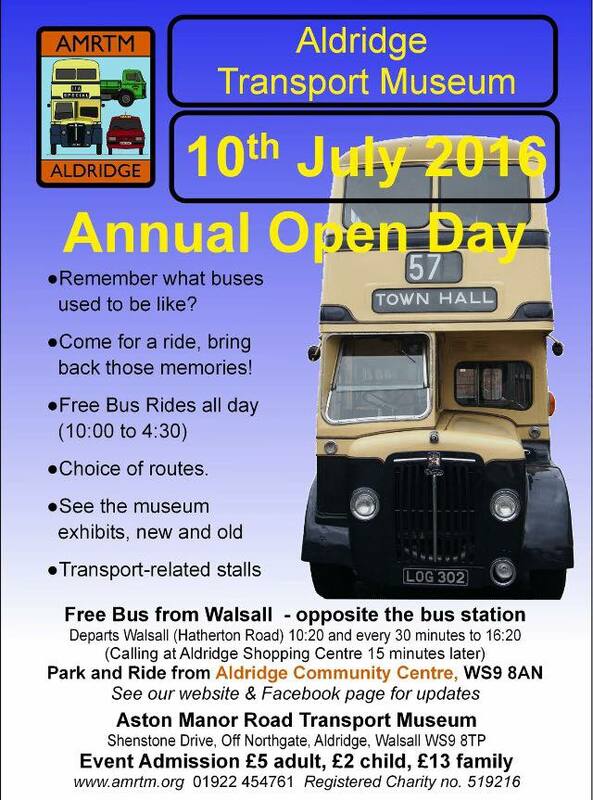 2016 Aldridge Transport Museum Open Day this Sunday! 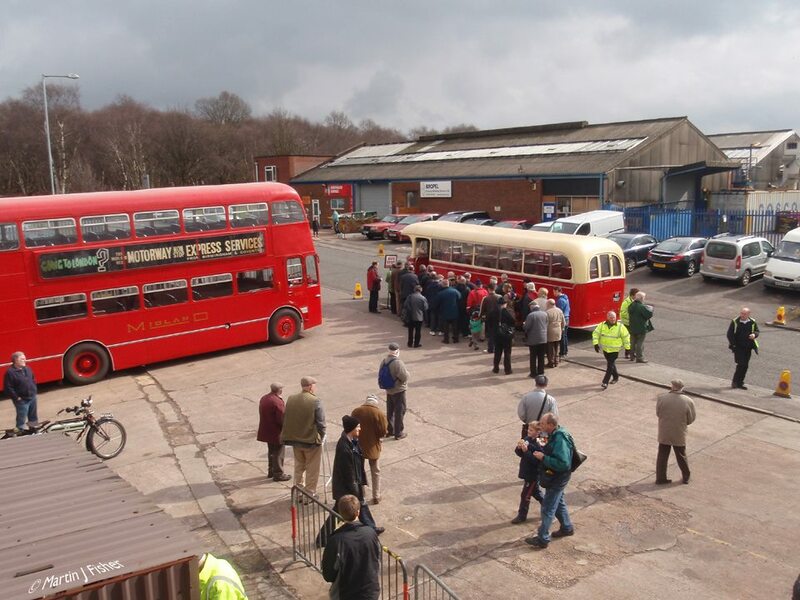 So, another great event this Sunday (1oth July 2016) – Aston Manor Road Transport Museum in Aldridge will be a hive of activity again as they hold their Annual Open Day featuring buses and vehicles that will bring back great memories! 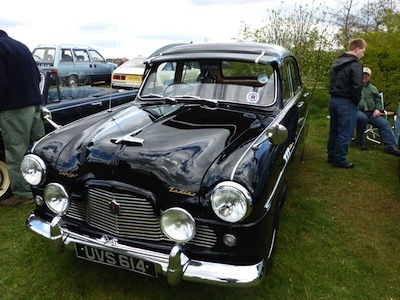 I note that this Sunday (15th May 2016) is Classic Car Day at soon Manor Transport Museum in Shenstone Drive, Aldridge – from 10:30am until 4pm, there will be classic motors to enjoy, you can meet their owners and browse this wonderful museum. 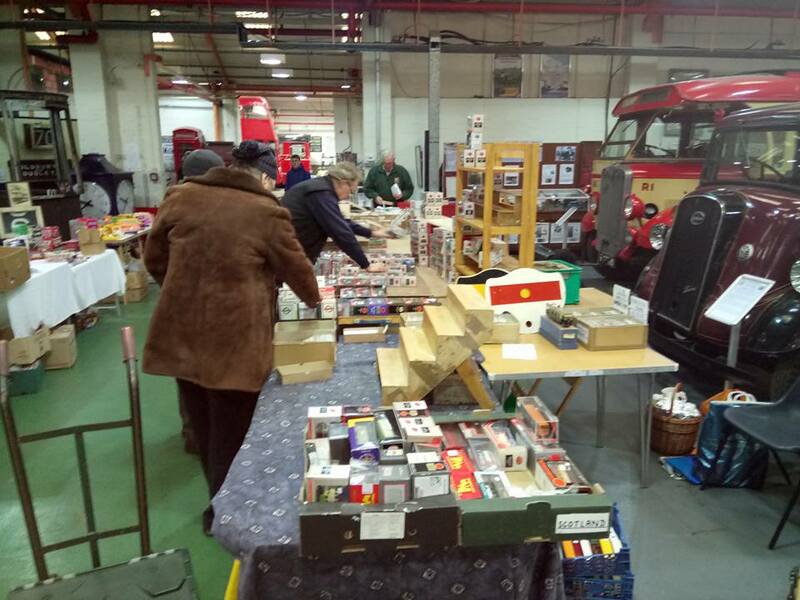 I see from the events list that Aston Manor Road Transport Museum in Aldridge have a collectors fair taking place this Sunday (20th March 2016) from 10:30am until 4:00pm, and should be just the thing for auto buffs, transport enthusiasts and petrol heads of all types. 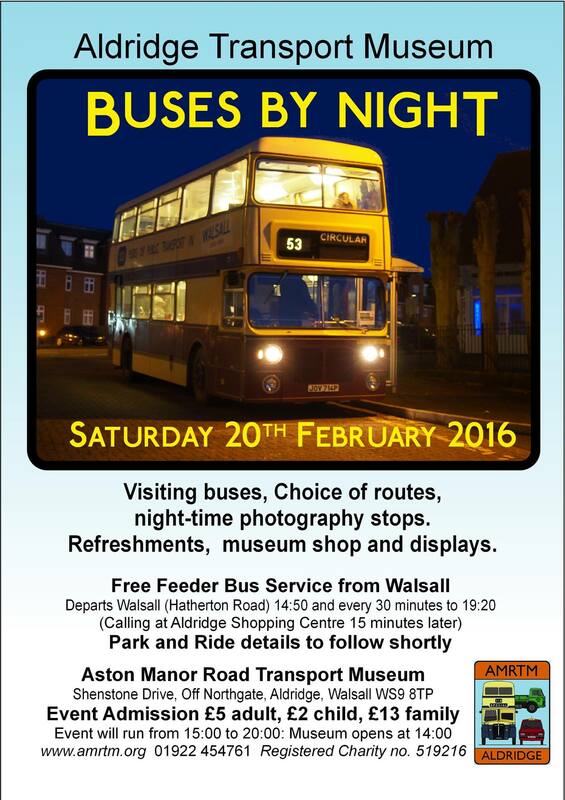 Buses by night – great Aldridge event on this Saturday evening! 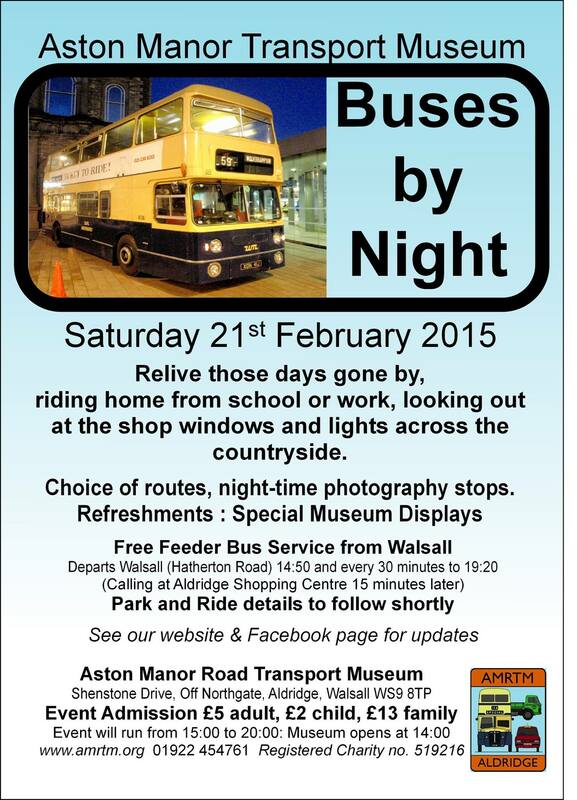 This Saturday evening (20th February 2015) there’s a great, innovative event taking place at Aston Manor Road Transport Museum just off Northgate, Aldridge – Buses by Night, which is your chance to ride on some great old vehicles and see the local sights and photography hotspots – like Lichfield Cathedral – at night. Sing Song Merrily on Buses! 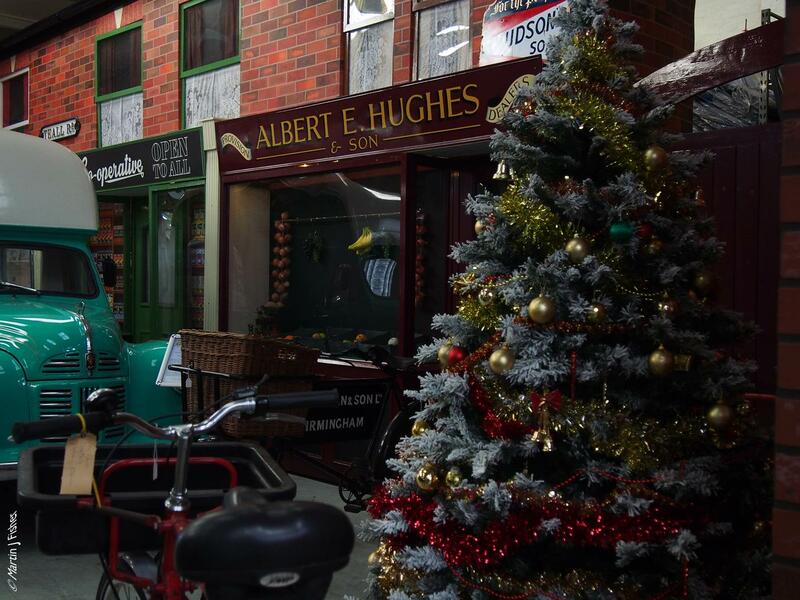 I notice that this Saturday evening (12th December 2015) Aston Manor Road Transport Museum in Aldridge will be hosting ‘Sing Song Merrily on Buses’ – a great Christmas music and fun event to really get you in the spirit of the season. I see from the events list that Aston Manor Road Transport Museum in Aldridge have a collectors fair on this coming Sunday from 10:30am until 4:30pm, and should be just the thing for auto buffs, transport enthusiasts and petrol heads of all types. 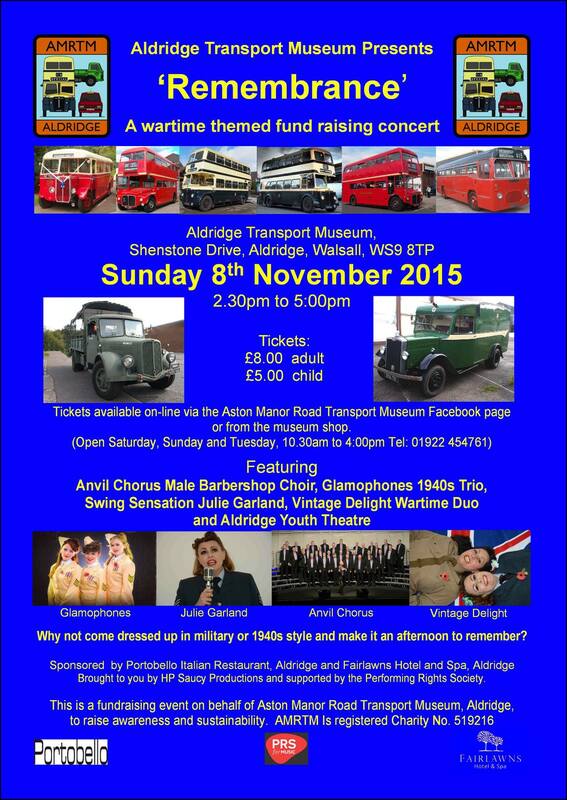 I notice that this Remembrance Sunday (8th November 2015) Aston Manor Road Transport Museum in Aldridge will be hosting ‘Remembrance – A Wartime Themed Concert’ in aid of the museum. 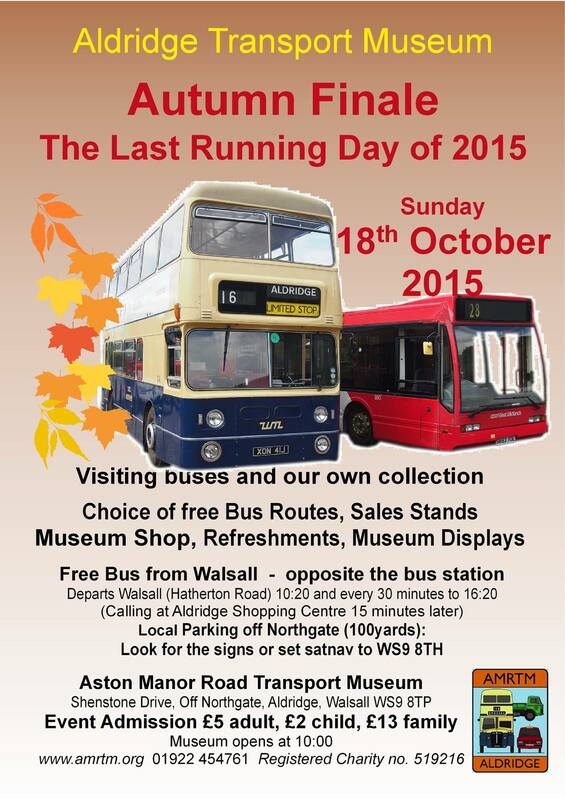 Aldridge Transport Museum: Autumn Finale running day today! Thanks to the diligence of @TheStymaster, I can tell you that today (Sunday 18th October 2015) Aston Manor Road Transport Museum in Aldridge will be a hive of activity again as they hold their final running day of 2015. 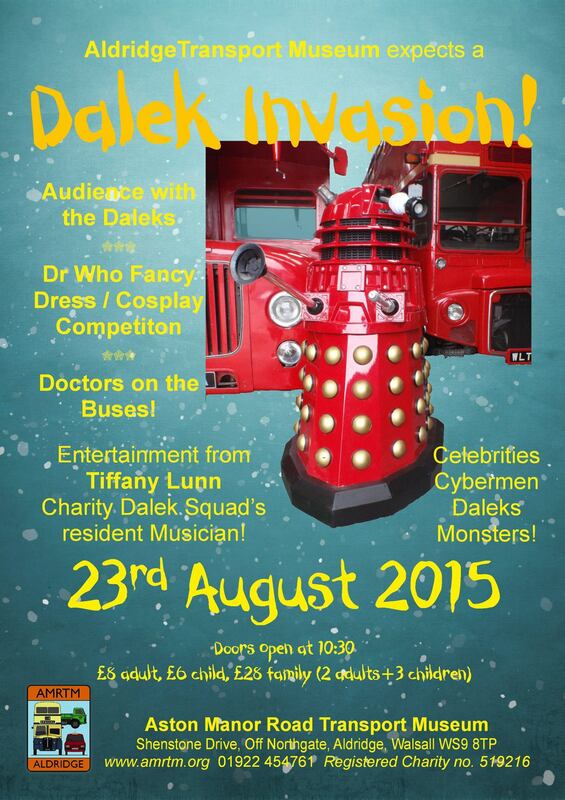 Daleks invading Aldridge Museum as we speak! 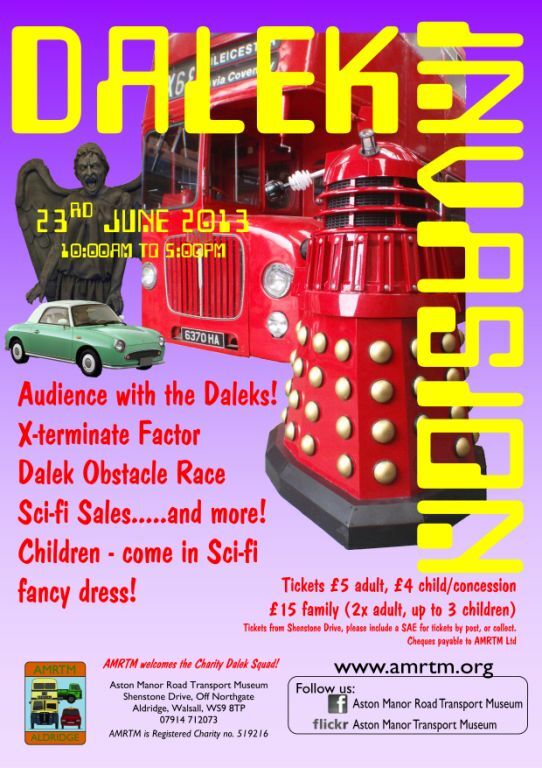 There’s currently a Dalek invasion happening at Aston Manor Road Transport Museum in Aldridge where the wheeled Who-botherers will be entertaining visitors and scaring the staff all day today (Sunday 23rd August 2015) from 10:30am until late afternoon. 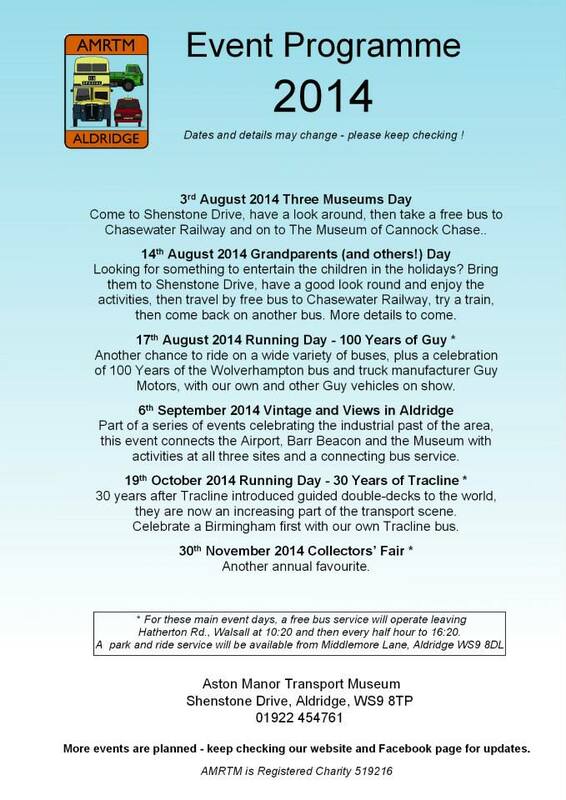 Aldridge Transport Museum Open Day today! 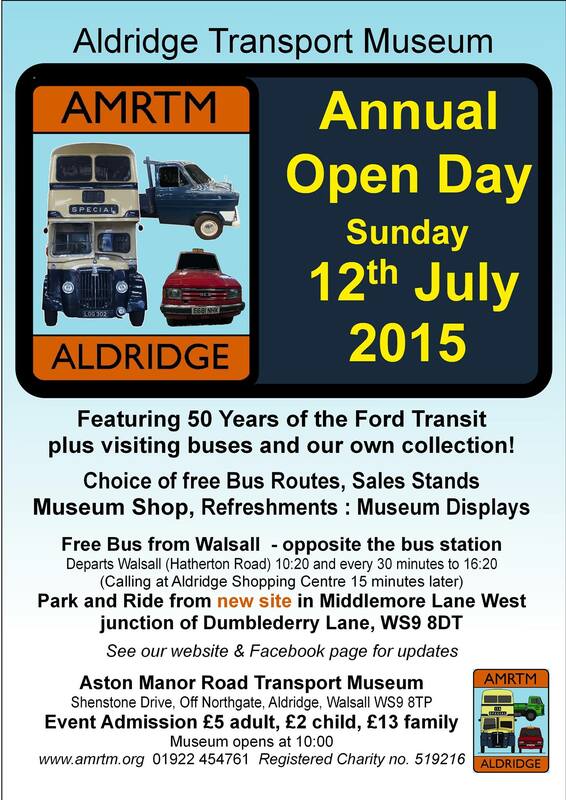 So, another great event today (Sunday 12th July 2015) – Aston Manor Road Transport Museum just off Northgate, Aldridge will be a hive of activity again as they hold their Annual Open Day featuring 50 years of the Ford Transit! Vintage, retro and handmade fair this Sunday! 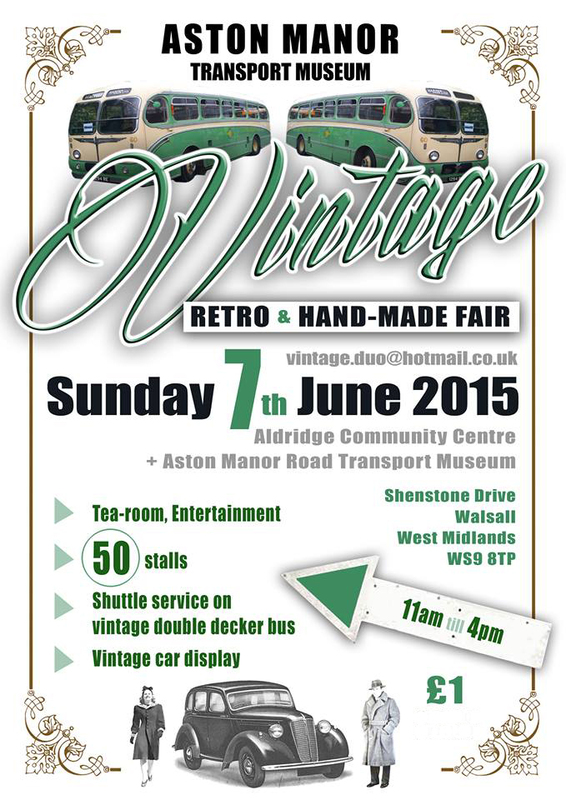 This Sunday (7th June 2015) there’s a vintage, retro and handmade fair in Aldridge, split between the Aston Manor Road Transport Museum in Shenstone Drive (just off Northgate) and Aldridge Community Centre, with a vintage double decker from the museum operating a free shuttle service between the two sites. Buses by night – great Aldridge event on this evening! This evening (21st February 2015) there’s a great, innovative event taking place at Aston Manor Road Transport Museum just off Northgate, Aldridge – Buses by Night, which is your chance to ride on some great old vehicles and see the local sights and photography hotspots – like Lichfield Cathedral – at night. 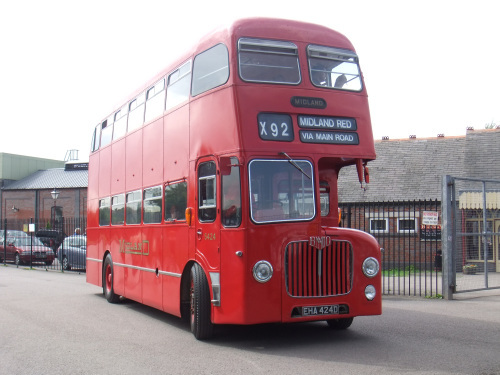 A late one just in – Aldridge Transport Museum Open Day today! 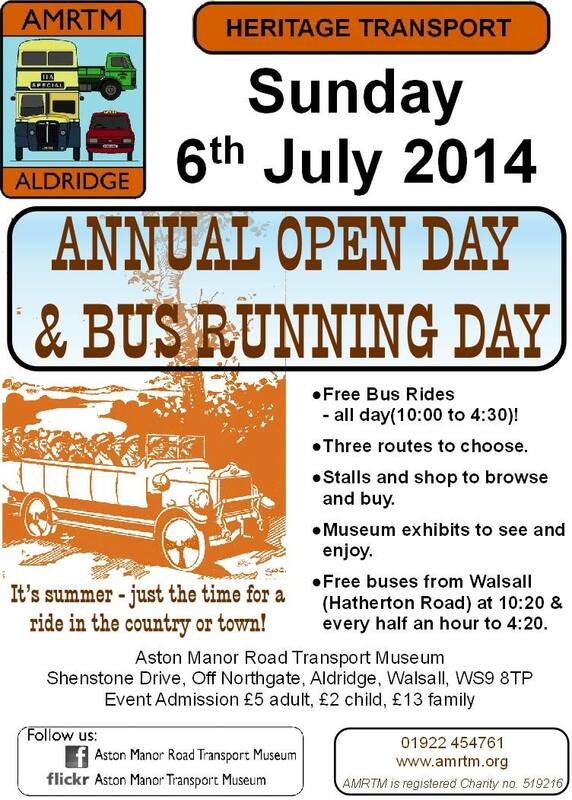 I’m very, very late with this but today Aston Manor Road Transport Museum just off Northgate, Aldridge will be a hive of activity again when they hold their Annual July Open Day today (6th July 2014) in Shenstone Drive. 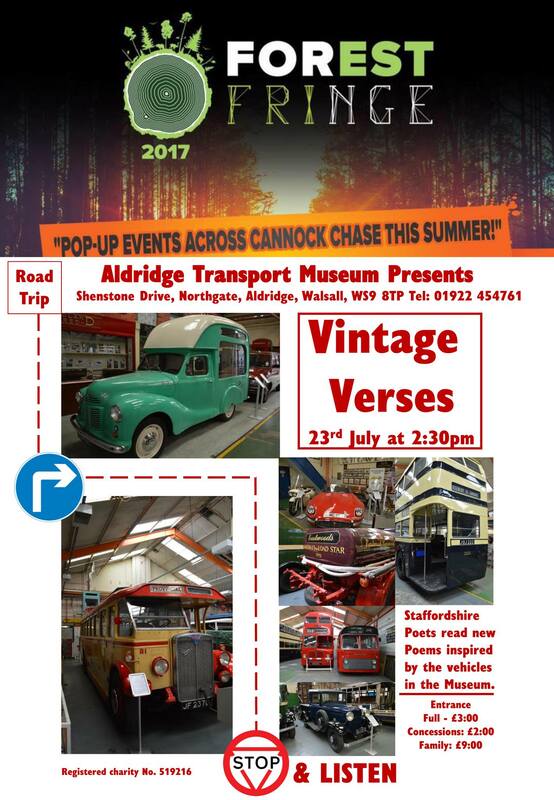 I see from the events list that Aston Manor Road Transport Museum in Aldridge have a ‘Models at the Museum’ event on today. 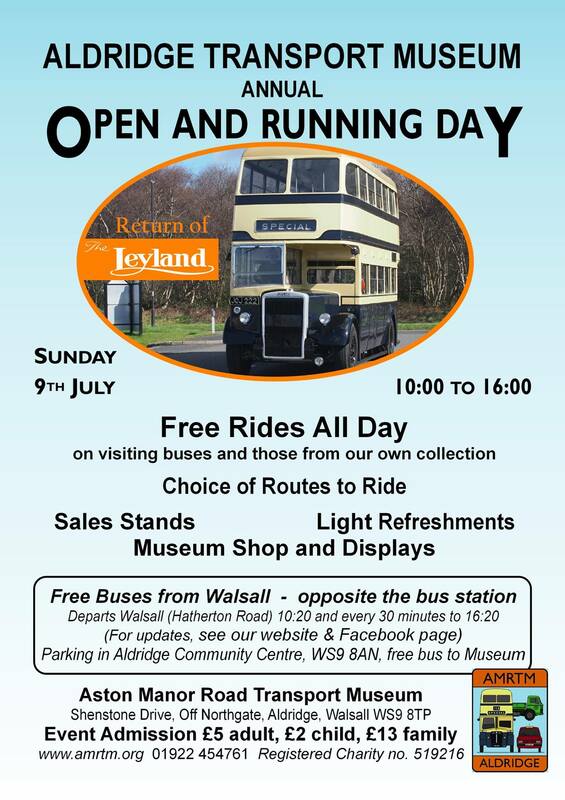 Aldridge Transport Museum running day today! 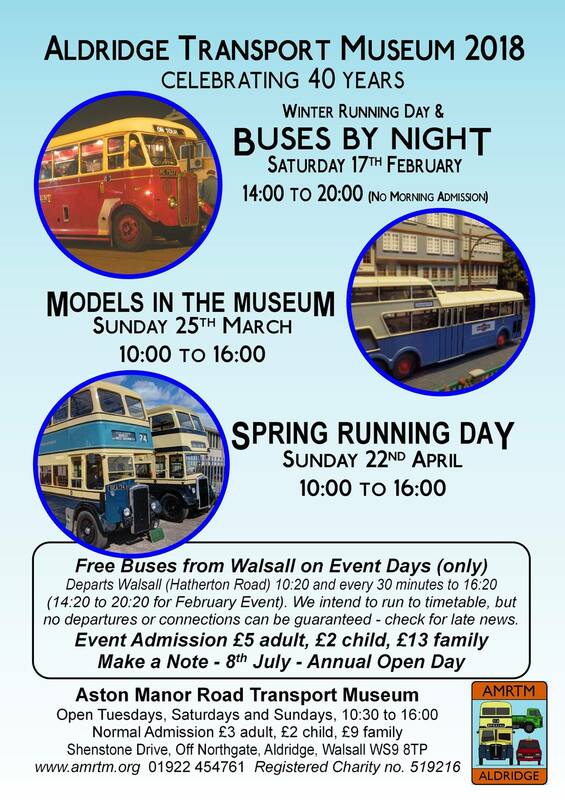 Aston Manor Road Transport Museum are currently gearing up for the coming season, and cordially invite you to their first event of 2014 – a ‘Running Day’, today (Sunday, 23rd March) – here the general public can pop in, take a ride on vintage busses, browse stalls of transport ephemera and have have a shufty around. 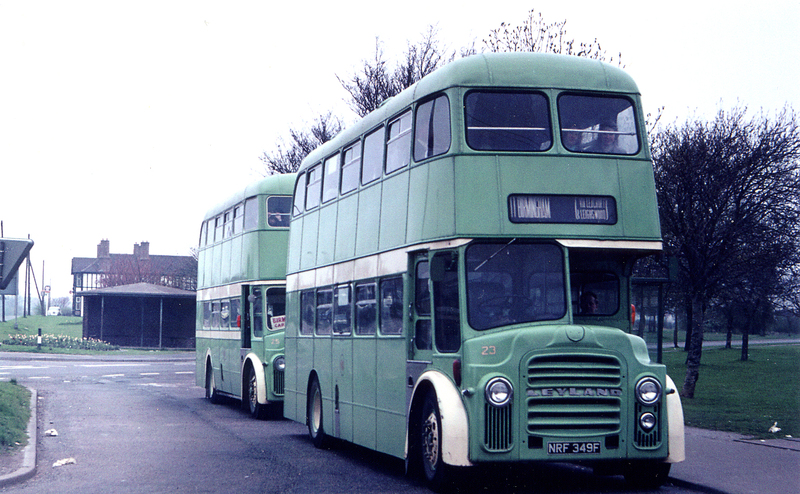 We’ve talked about Harpers busses here on the blog a lot over the years – many of us have fond memories of catching these distinctive green double deckers and coaches to popular local destinations, like Birmingham, Lichfield and Cannock. 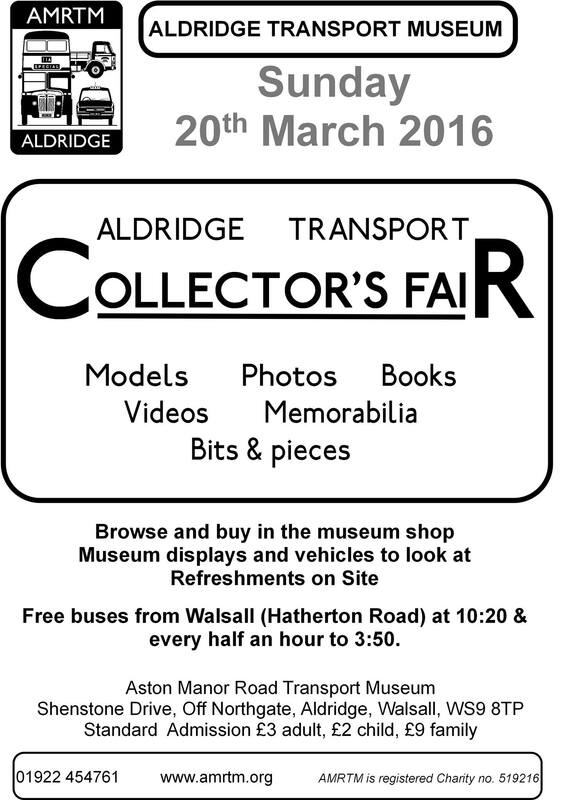 Collectors fair at Aldridge Transport Museum today! 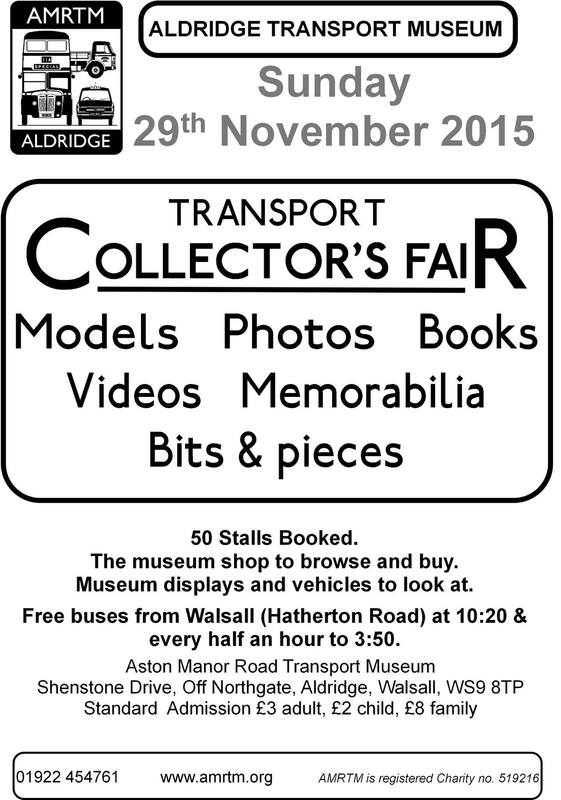 I see from the events list that Aston Manor Road Transport Museum in Aldridge have a collectors fair on today. 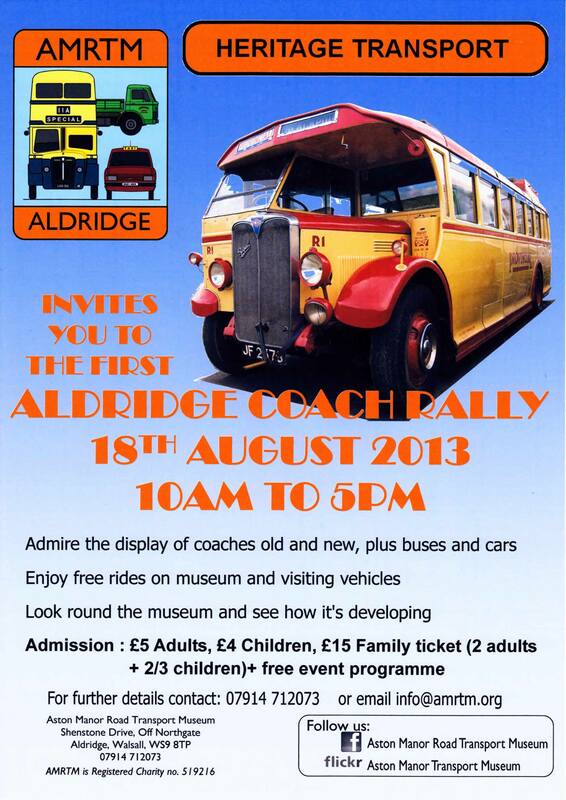 Aldridge coach rally – on today! Friend of the blog and Gardner Diesel fetishist The Stymaster informs me that Aston Manor Road Transport Museum, at Shenstone Drive in Aldridge have a Coach Rally on today – it starts at 10am and runs up until 5pm, and should be of interest to bus buffs, transport enthusiasts and diesel heads of all types. 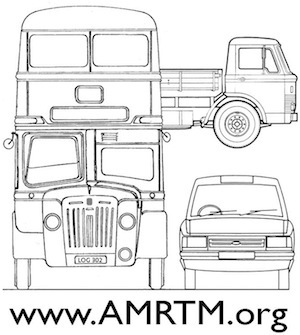 Meet Aston Manor Road Transport Museum in their new home this Sunday! 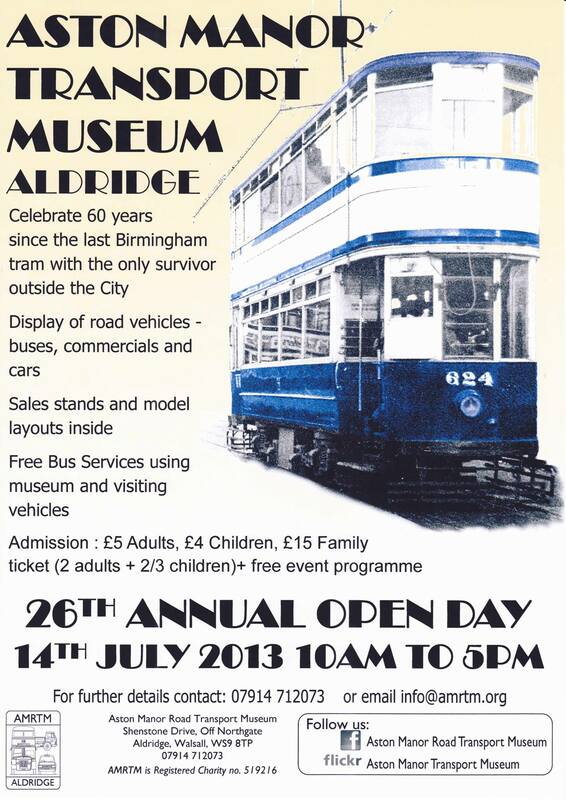 This Sunday, 14th July 2013, Aston Manor Road Transport Museum will be holding their 26th annual Open day, where the enthusiasts who lovingly maintain and curate this fascinating collection of vehicles will be celebrating the history of Birmingham trams. Collectors fair and auto jumble on in Aldridge today! I see from the events list that Aston Manor Road Transport Museum have an auto jumble and collectors fair on today. 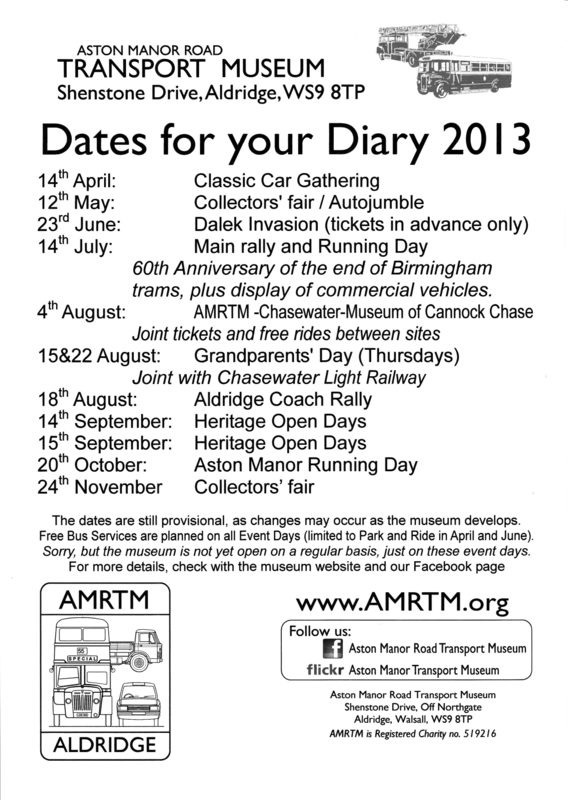 Martin Fisher, from the Aston Manor Road Transport Museum – now based in Shenstone Drive, Aldridge – has been in touch to inform me of an upcoming event this Sunday, 14th April 2013 – The museum will be holding a ‘Classic Car Gathering’. The above wonderful and evocative image was supplied by reader and friend of the blog Tony Martin, who spotted this classic Harpers bus in 1974. The destination board reads “Streetly Works’ and I guess it was performing one of the many services that used to run to local factories. Streetly works was, of course, the BIP, now long since gone. The best kept secret in Aldridge – open this Sunday! Readers will be familiar with the somewhat protracted story of Aston Manor Road Transport Museum, and it’s move to Aldridge last year. Sadly, things didn’t quite go to plan at Beecham Business Park, and the museum had to move again – but the good news is, it’s still in Aldridge, at Shenstone Drive. This Sunday, 20th January 2013, the museum will be holding a ‘Meet the Museum’ event, where the general public can pop in, take a shufty around and hopefully help shape this valuable collection’s future. 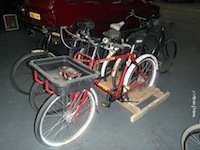 Aston Manor Transport Museum saved again! I see Aston Manor Transport Museum have apparently been saved again. 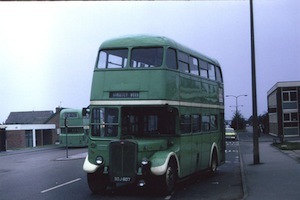 I was sad to note that over late summer, the news had emerged that the transport collection formerly resident in the old tram shed in Witton, and forced to move by landlords Birmingham City Council, was having to move a second time from it’s ‘new’ base in Northgate, Aldridge.